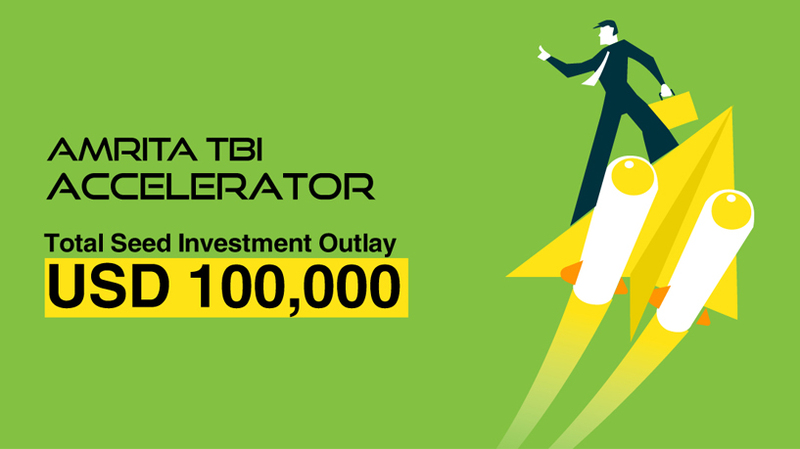 We deeply thank you for the overwhelming response to Amrita TBI Startup Accelerator (accelerator.amritatbi.com). We received 350+ startup applications this year. We are proud to announce the top startups selected for Amrita TBI Accelerator 2017 (The startups listed is not in any particular order or rank). From the shortlisted startups, Top startups were selected for the Amrita TBI Accelerator program. Accelerator program will commence from October 16, 2017. Startups not included in the above list: We will contact you in a few months for exciting programs at Amrita TBI viz. Amrita TBI Pitchfest and Amrita TBI Entrepreneur-in-Residence program.